Bringing in the harvest has never looked this good, and it’s all thanks to the Ram Harvest Edition, a new model of Ram truck designed specifically for the farm and visually distinguished by two new-to-Ram-Trucks yet altogether familiar colors – Case IH Red and New Holland Blue. 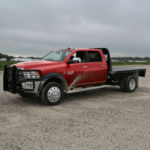 Ram Harvest Edition trucks are loaded with features that any farmer will find essential. Included, for example, are black tubular side steps, a durable spray-in bedliner, fold-out bumper step and mud flaps, rubber floor mats, skid plates and tow hooks (4×4) and heated front seats. 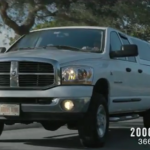 Ram Heavy Duty models also come with on/off-road tires and add a cargo-view camera*. 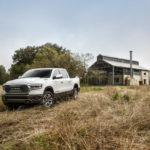 Ram 1500 Harvest Edition also features on/off-road tires in addition to a ride-height increase of one inch to help owners comfortably and confidently navigate rough farm roads and pastures. Coming standard with the Harvest Edition is an 8.4-inch Uconnect® 4C touchscreen radio with navigation, 4G Wi-Fi®, Apple Car Play®^ and Android Auto™†, which gives buyers seamless connectivity, fingertip access to smartphone map mirroring and up-to-the minute weather maps and forecasts customizable to any location in the nation. 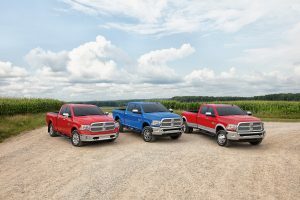 The Harvest Edition will be available across the Ram 1500, 2500 and 3500 lineup, in all four-door Quad, Crew and Mega Cab configurations, all box lengths and all powertrains, including the 5.7-liter HEMI® V8 engine, the 6.4-liter HEMI V8 engine and the 6.7-liter Cummins® Turbo Diesel engine. Visit your local BusinessLink dealer to learn more about the availability of the Ram Harvest Edition. 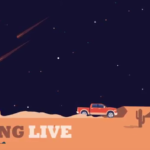 But first, what better time than now to revisit this classic video from the Ram Truck archives. Enjoy! * Always check entire surroundings visually before proceeding.